Our games teach sportsmanship and injury prevention. 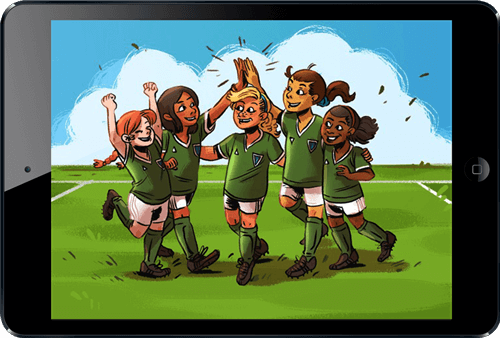 Featuring virtual teammates and coaches to help players along, kids get to learn safer sports through fun, interactive challenges. For what ages are SportzSafe games for? 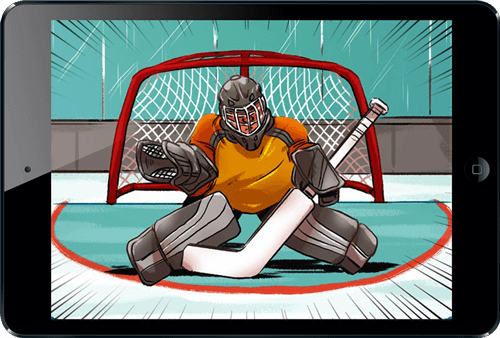 SportzSafe games are designed for kids from 5 to 13 years of age. We recommend that parents assist younger children through gameplay. How do SportzSafe games work? SportzSafe games are designed to be played before the season, or used as a mid-season supplement. Once a player completes all the challenges in a game, they will receive a completion code which can be provided to local clubs and leagues. Parents can purchase individual access to SportzSafe games on our website, or purchase directly from their league to link players with their local team. I am a parent, but my child is not part of a team. Can I purchase SportzSafe games? Yes. Click the game of your choice above to purchase it from its product page. Can I share one SportzSafe game between two or more children? Each copy of the game is linked to a specific player and completion code, and should not be shared. The unique completion code guarantees that each player has completed all the interactive challenges. I am a coach. How can I use SportzSafe with my club, team, or league? Coaches and leagues can email us to receive a unique sign up URL and website banner, which can be shared with parents and on your team website. This URL will be unique to your team, and allow you to see each player in our online console. You will also receive weekly reports of player completion. 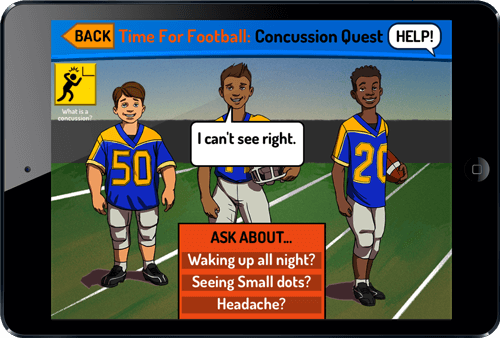 All SportzSafe games are developed with the input of our team of sports professionals, under the direction of noted researcher and youth concussion expert, Dr. Gillian Hotz. SportzSafe games deliver safety advice with no compromises, using the latest in science and health research.